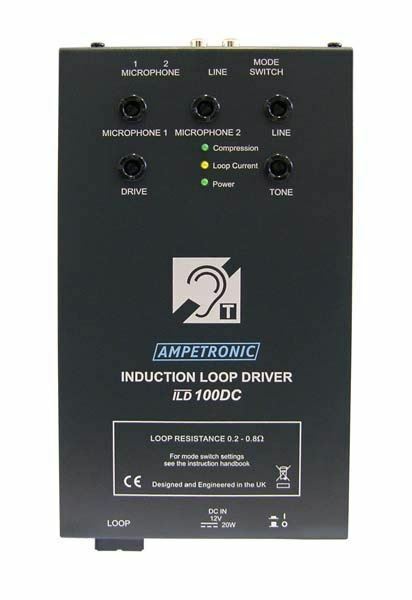 The ILD100 audio induction loop driver is in a class of its own. This compact and stylish unit is capable of driving loop areas in excess of 100m2 (square) with an unrivaled clarity of sound for superior intelligibility. All connections are plug and socket style for simple quick installation. Configuration VOX switching sets priorities for each input. Coverage to 1,050 Sq. Ft.